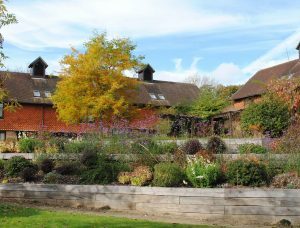 Cognatum’s single estate in East Sussex can be found in Wadhurst. History lovers will feel at home in East Sussex, whether exploring the cobbled medieval streets of Rye, enjoying the grounds of the 15th Century Herstmonceux Castle, or walking through Battle where William the Conqueror first engaged the Saxons in 1066. There is also much pleasure to be gained from the local countryside, from quiet yet colourful woodland strolls to daring tramps at the edge of the breathtaking Seven Sisters chalk cliffs. Not to mention the walkers’ paradise that is the South Downs, a narrow but impressive ridge of chalk running from Shoreham to Eastbourne offering excellent views across the county. Antique shops and markets are plentiful throughout the small villages, as are wonderful country pubs, and a range of modern shops and restaurants are easy to find in the bigger towns such as Eastbourne and Hastings.